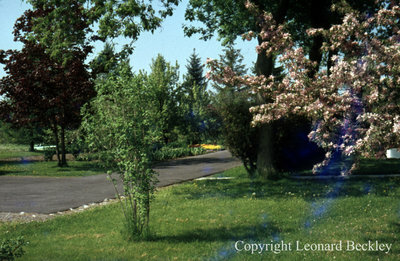 A colour slide of Leonard Beckley's lawn and driveway at 609 Pine Street in Whitby, Ontario. This negative has started to degrade. Leonard Beckley's Garden, June 1978, Leonard Beckley. Whitby Archives A2014_004_245.